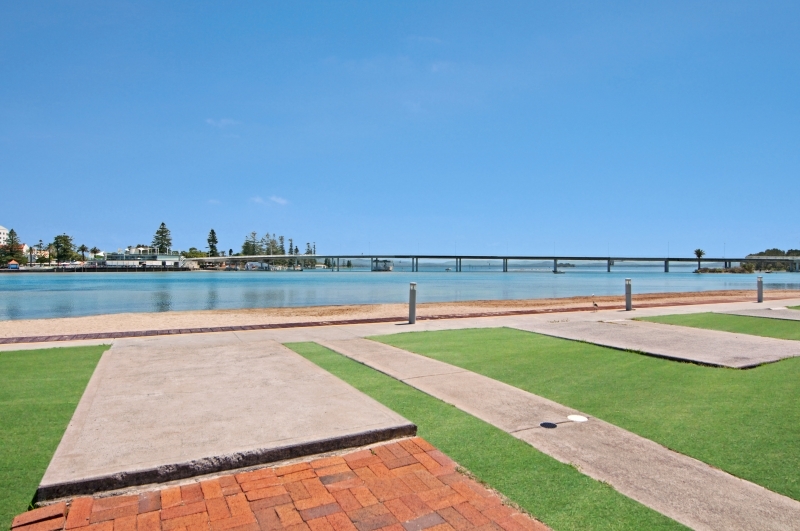 You can’t get closer to the waterfront than on a waterfront site at Dunleith Tourist Park! Waterfront Sites are suitable for caravans and motorhomes only, with cement slab for your awning/annexe, and one car space provided. Watch the sunset over the water from your very own site. Length restrictions apply. Bring the van or pitch a tent on one of the powered sites scattered among our landscaped gardens and palms. We have a variety of slab or grassed sites which are located throughout the park with just a short stroll to the lake and beach, well-equipped camp kitchen, BBQ facilities, and park amenities.